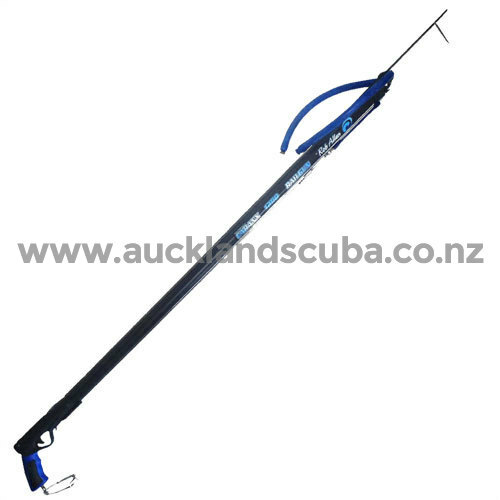 The Caranx is equipped with a 7mm spear for hard hitting power and a single 20mm rubber although the aircraft grade aluminium barrel can handle anything up to 2 x 20mm rubbers without compromising accuracy. Standard also is the Rob Allen bungee cored with 240kg dyneema and a single wrap of 180kg mono. This is the ideal gun for New Zealand conditions.